While the American public does not tend to give much thought to the U.S. Government Accountability Office, this nonpartisan agency is vital to the nation’s fiscal health. By guarding the nation’s checkbook, it oversees virtually every sector of the country’s activities. 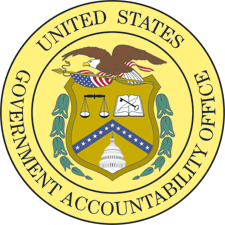 The U.S. Government Accountability Office, or GAO, is an independent agency that is charged with scrutinizing the way the federal government spends taxpayer dollars. Nicknamed the congressional watchdog, because it reports to both houses of Congress, the agency provides accurate, unbiased information to senators, representatives, the media and the public. To maintain its objectivity, the GAO has no ties to any political party or ideology. Its mission is to foster accountability for federal spending with the goal of eliminating waste and improving the efficiency and performance of the multitude of government agencies. Who Heads the U.S. Government Accountability Office? Serving a fifteen-year term, the comptroller general is in charge of the GAO. There is a three-phase selection process for this individual to limit the influence of any political party. First, a bipartisan committee made up of members of both houses of Congress assembles a list of candidates. Then, the president chooses one of these candidates. Finally, this appointee is confirmed by the Senate. Who Works for the U.S. Government Accountability Office? With the exception of the comptroller general, the agency is staffed by career employees, not political appointees. According to the GAO, the agency employs nearly 3000 people in 11 offices around the country; the vast majority of those employees work out of the agency’s Washington, D.C. headquarters. Because of the massive breadth and depth of its responsibilities, the agency requires a varied assortment of employees. Its staff includes accountants, economists, public policy experts, lawyers, social scientists and computer experts. Additional specialists in subjects as diverse as healthcare and foreign policy also work for the agency. What Types of Activities Does the U.S. Government Accountability Office Oversee? An investigation can be inspired by several sources. The comptroller general has the authority to begin researching an area of concern. Some activities are mandated by federal law. Others begin at the request of a congressional committee or subcommittee. The GAO may be called on to explore allegations of improper or illegal activities, audit an agency’s operations to determine whether taxpayer dollars are being well spent, or evaluate and report on the success of government policies and programs in meeting their respective objectives. It can be asked to analyze policy options and report on various alternatives for congress to consider. It also offers legal opinions and decisions. These activities lead the GAO into a wide range of arenas. An article in Fortune reported the agency’s concerns regarding America’s slipping nuclear innovations. Another article in Bloomberg described the agency’s criticism of the military’s climate-adaption planning. A third in the Fiscal Times cited its report on problems at the IRS. Holding the myriad agencies of the federal government accountable for their spending, the GAO conducts audits and investigations that allow it to advise Congress and other members of the government on methods for making the federal government function more effectively and more efficiently. Its work safeguarding the national checkbook means the U.S. Government Accountability Office touches on virtually every subject that the federal government does, including matters of defense, healthcare, education, scientific discovery and more.